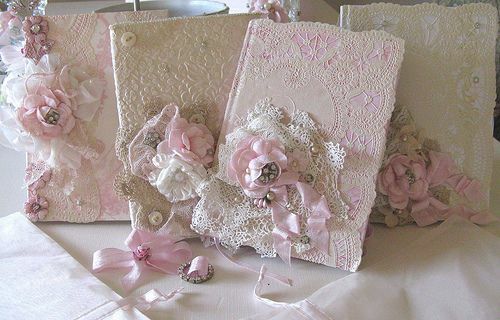 Lace and ribbon decorated journals are not just a part of the interior, but also somebody's best friends as they bear precious thoughts and secrets, impressions of the past in old photos, letters or vintage newspaper trims. They look beautiful, and may seem very complicated for diy creation. However following easy video tutorials will help in learning how to make these romantic albums. You may like to visit my Lace & Ribbon and Fabric Sections of the Everything For Craft Projects Store, where you'll find a great variety of lace & trims for your lovely lace covered journal.